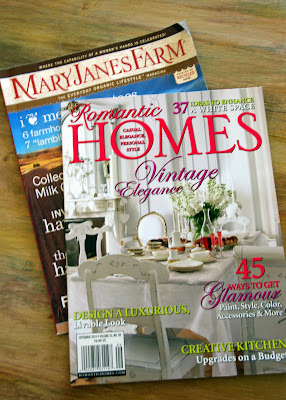 What do these 2 beautiful magazines have in common? Could it be that they are filled with beautiful pictures? Yes. Could it be that they inspire? Yessiree. Could it be that they both have ads for Farmstead's retreats? Definitely! I am so excited to be able to be a part of these ads which I photographed and designed myself. Thank you Kelly for trusting in me and allowing me to do these for Farmstead! How wonderful! I still need to make it out to Farmstead one of these days. Its on my list of things to do/go. Can't wait until Friday for our private soldering lesson! See you then! How cool is that to see your work in print!! Congratulations on being published! I haven't had a chance to make any more jewelry yet but it's definitely high on my list. 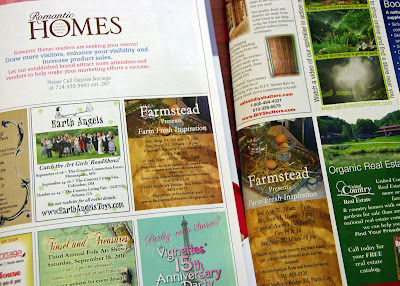 Great job on the ads...kudos to you:) So exciting to see your work in a magazine!